Chris Turner has been investing in real estate since 1993. He began buying and renting homes while stationed in Alaska with the US Air Force. Originally from Greenville, SC he decided to move back to South Carolina and settled in the Columbia area. He began purchasing rental properties and handled the management, maintenance and screening of tenants himself. Over the years he’s learned many lessons while managing his own real estate investments. Chris applies the lessons he’s learned to keep his clients from making those same mistakes. While he was with Century 21 Bob Capes realtors he worked with homebuyers and sellers helping them navigate the sometimes complicated world of real estate. He also headed up a new commercial office development in Northeast Columbia. Chris decided to start his own real estate company in the hopes of being better positioned to serve his clients. Beginning in 2008 we opened our doors with just 1 client who owned 4 units. Today we manage over 200 units throughout the Midlands. We believe this rapid growth is due to our personal service and attention to detail. In the past few years he has shifted the company’s focus primarily to property management. Chris has attended numerous classes and seminars regarding rental management and currently has the Residential Management Professional designation from the National Association of Residential Property Managers (NARPM®). There are very few agents with this designation in the market. The RMP® designation requires online and classroom education, 100 unit years of experience managing residential real estate, letters of recommendation from current designation holders and clients and volunteer service to NARPM®. With more than 12 years of property management under her belt, Courtney Evans has managed all types of multi-family housing. She has strong administrative skills and excellent communication abilities. 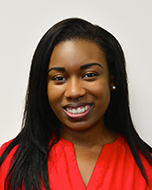 Prior to obtaining her current position with Turner Properties, Courtney was a property manager for a 240 unit complex located in the Columbia area. She was responsible for overseeing the day-to-day management and operations of the community. After graduating from Columbia College with a degree in Business Administration, Courtney attended the Real Estate School of Success completing her required courses to become a licensed property manager. 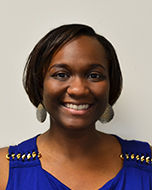 As a former member of the Apartment Association of Greater Columbia, Courtney has attended several educational courses in Fair Housing, DHEC Swimming Pool Permitting and Compliance. 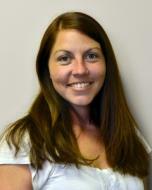 Nicki is a licensed real estate agent and has been with us since March 2013. She successfully completed 30 hours of state Property Management training to ensure she is up to date on all laws and regulations pertaining to residential property management. Nicki works with new residents processing rental applications, scheduling showing appointments, signing new leases and doing move in and move outs. She also works with owners regarding all aspects of their investment. She loves helping new owners and tenants with their real estate needs. Christie handles our marketing and manages maintenance service requests. She works hard to make sure resident issues are resolved quickly. She is a licensed real estate agent and is a Columbia native. She is a graduate of Clafin Univeristy. She has over 10 years of Customer Service experience and enjoys helping owners and tenants with their real estate needs. As a veteran of both the U.S. Army and the National Guard with over 24 years of service, Dan McGuire knows what it means to be dedicated to the job. Dan performs some maintenance, our move in, move out and periodic inspections. You will enjoy his positive personality and excellent customer services skills. Aimee assists tenants and owners with property maintenance. From entering a new service request, assigning vendors, and following up with the resident regarding conclusion of the work, Aimee will help our tenants each step of the way. With her extensive customer service background Aimee specializes in applying her Business Law and Management to her work here at Turner Properties. In addition to being an active volunteer with her children’s PTO and active in the youth group she can be found working with other nonprofits throughout the Midlands. As a licensed cosmetologist, Aimee offers her services to those living in retirement communities that have limited transportation. Cherelle grew up in the Columbia area. She is a graduate of Dutch Fork High School & South Carolina State University. She has joined our property management team with 8 years of customer service experience. A giant supporter of Boys and Girls Club of the Midlands, Cherelle offers her time helping with homework and counseling sessions. Being a role model for the youth in her community is very important and helping them stay on the right track and emphasizing education. This self-proclaimed ‘foodie’ is a junkie for HGTV shows and her favorite basketball team, Boston Celtics. Lindsey Crumlin joined Turner Properties in August 2015 as a Customer Service Representative. Mr. Crumlin focuses primarily on customer service and maintenance request but will be seen aiding throughout all facets of the property management process. 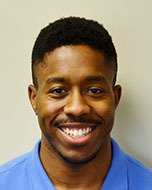 A New Orleans native, Lindsey currently attends South Carolina State University where he is pursuing a Bachelor’s of Science degree in Economics. Lindsey’s keen sense of economics allows him to be better aware of the current real estate market in not only Columbia but other markets as well. Before working at Turner Properties, Lindsey has worked for multiple financial services companies in New York City, New York and Columbia, South Carolina. Lindsey is an exercise advocate and enjoys cheering for the New Orleans Saints! Who Dat? Caspar is a native of Columbia and a graduate of The Citadel Military College. He has been in the Property Management industry for over 6 years. He works with new clients onboarding their portfolio of properties, overseeing turnover projects, handling digital media and always provides excellent service to our clients and customers. DeVon has been working in the sales industry for over 6 years. He brings his positive personality and excellent customer service skills to our firm onboarding new owners, walking them through the signup process and making the entire process smooth and easy. He also works with our tenants answering questions about properties, our application process and more. He is a native of Ohio and a true buckeye. DeVon is always ready to help with any of your property management needs.